This compact electric lock allows controlled access to very small enclosures. An optional monitoring switch is available to indicate whether the mechanism is locked or unlocked. 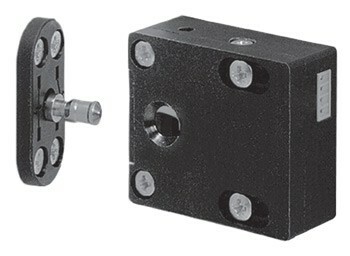 Side or top mounting capability make this easily installed, low-profile lock suitable for a variety of applications. Positioning of the locking pin determines lock mode. 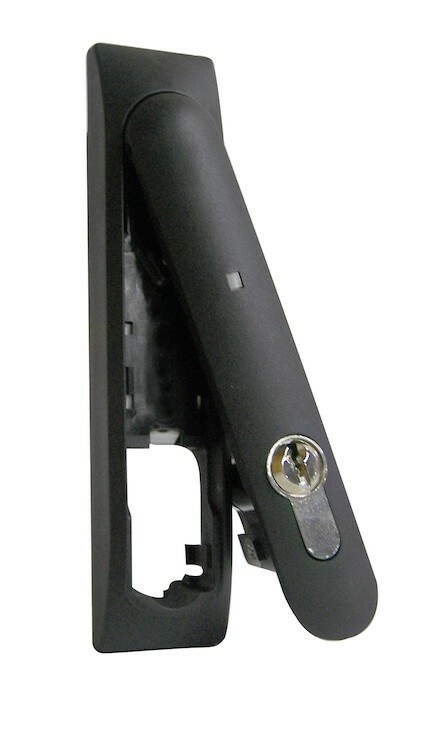 A simple twist of the pin changes the lock from fail unlocked to fail locked during installation. Four countersunk mounting holes are provided to securely mount the lock and pin assembly.